Lucas is a Senior Archaeologist and specializes in lithic analysis of Amerindian peoples. Lucas has earned a B.A. (2001), an M.A. (2008) in anthropology from the University of Central Florida and a Ph.D. (2016) in anthropology at the University of Florida. Lucas gained extensive experience in lithic analysis through fieldwork and lab work with Far Western starting in 2002, as well as with the Caracol Archaeological Project in Belize, Central America. 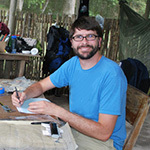 His research in Belize is concerned with the technical and social aspects of lithic craft production in terms of raw material sourcing using X-Ray Florescence, standardized practice in both obsidian and chert tool production, distribution of crafts and finished lithic tools, and their context of use. His dissertation project focuses on the entire obsidian assemblage collected during 32 years of archaeological investigation throughout Caracol, Belize during the Classic period (AD 250–900) to better understand the organization of market and non-market exchange of imported obsidian. He has contributed to the presentation of archaeological finds through his illustration and drafting skills at Palenque, Chiapas, Mexico, and Caracol, Belize. While maintaining research interests throughout Mexico and Central America, Lucas is actively involved in Far Western’s laboratory research and analysis of lithic artifacts as well as curation of site collections. 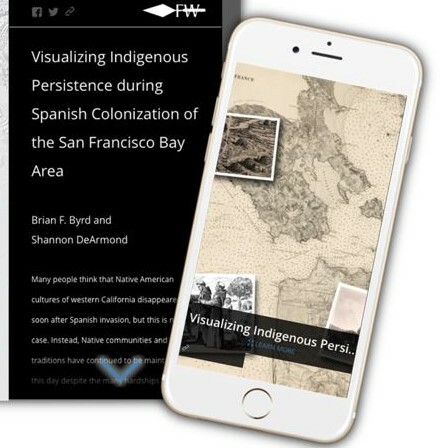 This work contributes to Lucas’s goal of more broadly understanding how lithic crafting technology and exchange was an active part of everyday life for Amerindian identity formation and therefore an essential component of heritage management. Chapter 13: Postclassic Tool Production at Santa Rita Corozal: Implications for Domestic Craft Production and Regional Exchange of Flaked Stone. In Perspectives on the Ancient Maya of Chetumal Bay, edited by Debra S. Walker. University of Florida Press, Gainsville, Florida. Standardized Lithic Technology and Crafting at the “Gateway Group” from Caracol, Belize: Implications for Maya Household Archaeology. Research Reports in Belizean Archaeology 11:91–87.